With over 55,900 sales, the Avada theme dominates the WordPress theme sales at ThemeForest. 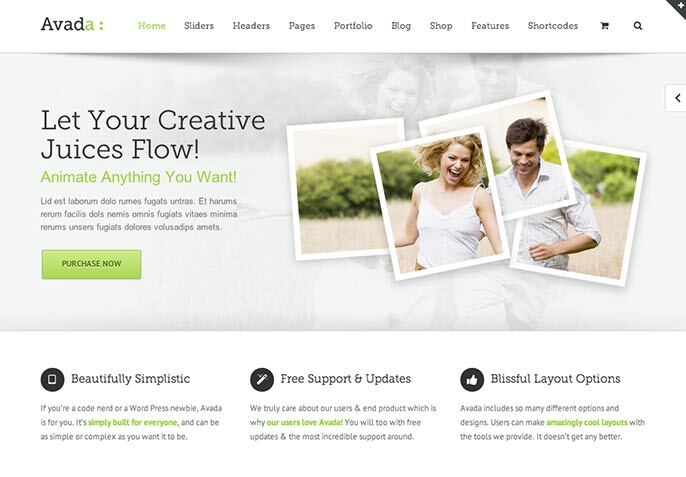 The next most popular one behind Avada is U-Design theme, with over 33,000 sales. The gap of over 20,000 sales between them, you can see that Avada is really doing something right to separate it from the rest. What makes this theme so popular? Let’s take a look. That is nice and all but what makes it stand out, really? Many themes have nice bells and whistles when they release. I like that very much bit there is one big factor that makes a theme really worth the money, it is dependability and long term usability. I can see that Avada is in it’s version 3.3.1, which means the creators are staying on top with the WordPress updates and improving with every version release. This means a lot because many theme creators do not do that and let their themes go stale and outdated. This alone means to me anyway, that this theme is worth investing in long term. This, plus it’s high Buyer rating at 4.65 based on over 4,600 reviews tells me this is a strong theme.